Passage to India serves a great selection of Indian food in an elegant decor, reminiscent of the dining rooms of the Maharajahs. Chef Sudhir Seth introduced the concept of Regional Cuisines of the Indian subcontinent and showcases food from all over India with local ingredients and home blended spices. The restaurant is located Bethesda's restaurant row, just 3 blocks from the Bethesda metro (Red Line). Love going here. The service is great, food is delicious and the portions are large. Food and ambience was excellent. It was marred by a relatively unfriendly waiter. The food was delicious, as it always is and the service was very gracious. This is one of our favorites. I love this restaurant! 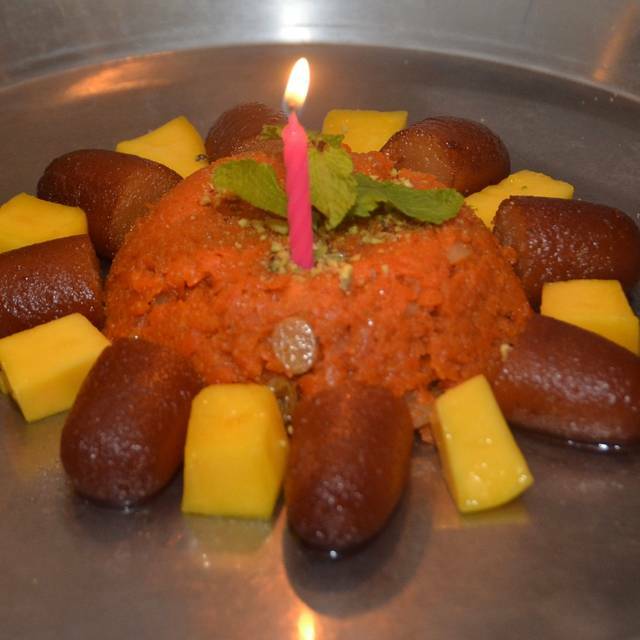 The ambiance is very good, and the staff is attentive and friendly. 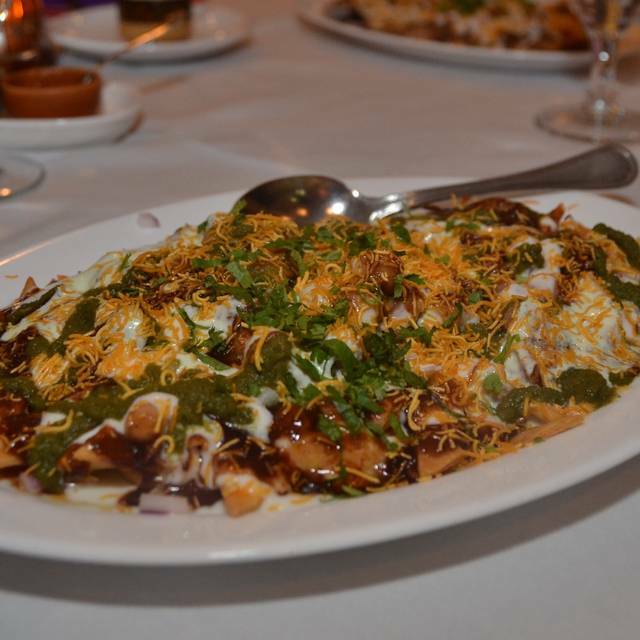 The food is good, and the prices are comparable to other local Indian restaurants. I wish they gave more rice with the meals! 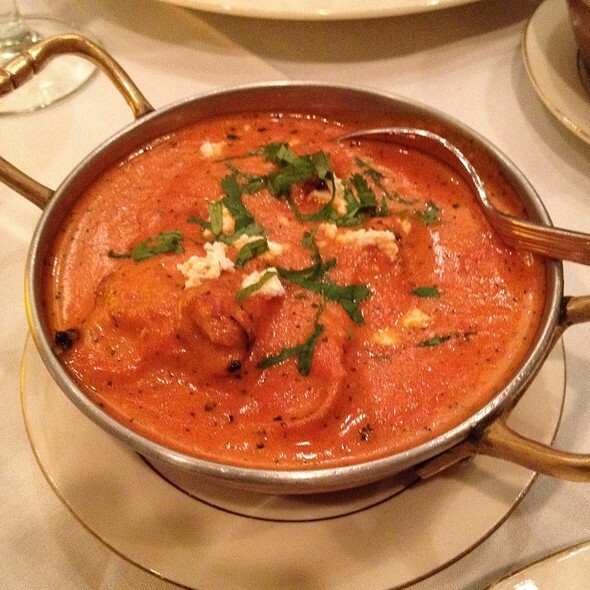 We ate at Passage to India 2x for dinner on our recent visit to Bethesda. We first had samplers, and as expected, liked some dishes better than others, but all were good. Spice level wasn't too hot for us (wimps). We especially like Indian vegetable treatments, so on our 2nd visit we chose Chicken Korma and a couple of vegetable dishes. All were served with rice. Bharta was very good. Long beans with dumplings turned out to be not so much to our taste because of the dumplings, but the spicing and sauce was quite nice. We really enjoyed the quiet atmosphere, and the service was most attentive. We wanted to bring it all home with us. Great food. I've been here twice now. The first time was crowded, the second time was the opposite (but first time was over the weekend, second time was on a Tuesday). Not cheap, but the food is really good so still worth it. I love this restaurant. It is a calm oasis where I like to have lunch alone with a book or in quiet conversation with a good friend. The ambiance, food, and service are all very good, and there is very good value for the money. The menu covers the four major regional cuisines of India. The entrees are filling, so I often choose two appetizers for lunch. The scallops appetizer is the best I have had anywhere in Montgomery County and the Seekh (lamb) kabob is flavorful. Another very good appetizer is the crabcake. The chef Sudhir Seth is a genius whose range at the restaurant is great and uniformly excellent. Each dish is individually spiced and reflects the regional differences. Had not been to this location in years, and not at all in its current form. The food is very good. We were especially impressed with the organization of the menu into four regions of India, and with the many vegetarian/vegan dishes (several in each region). In addition to north, south, east and west, there are sections for appetizers and tandoori dishes. The samosa is a lovely presentation. We also had "fritter platter" (pakoras), tandoori salmon, an unusual plantain dumpling entree, assorted pickle, and garlic naan. The portions are not large but the prices are moderate; you can happily order a number of dishes and sides. The room is intimate so it doesn't get too noisy. The decor, including the printed menu, is interesting and attractive. Despite a warning about handcrafted dishes taking time, the service was prompt and well-paced. Note that they don't appear to make reservations past 7:30. Overall good Indian food. Very authentic. Great value. Service was very slow and food was not timed well. As the main course came out as we were still having appetizers. Overall though it was very good food, good portions with the chefs combination platter. Fantastic food for I always come meet up my friends for dinner or lunch here and never disappointed w food presentation and service ! 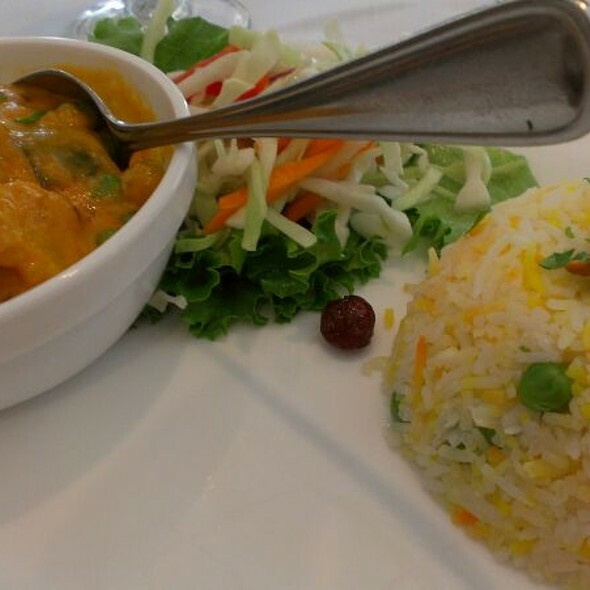 Passage to India has an excellent menu, organized by regions of India, of exquisitely prepared foods. The white-tablecloth, quiet ambiance makes it a great choice for a comfortable meal at which conversation is possible without shouting, while at the same time not being stuffy. The service is quite good, the staff efficient and friendly. The waiters and staff were very helpful in providing suggestions. Clearly proud of their food, our waiter took to time to explain dishes that appealed to our group. The food, of course, was excellent. 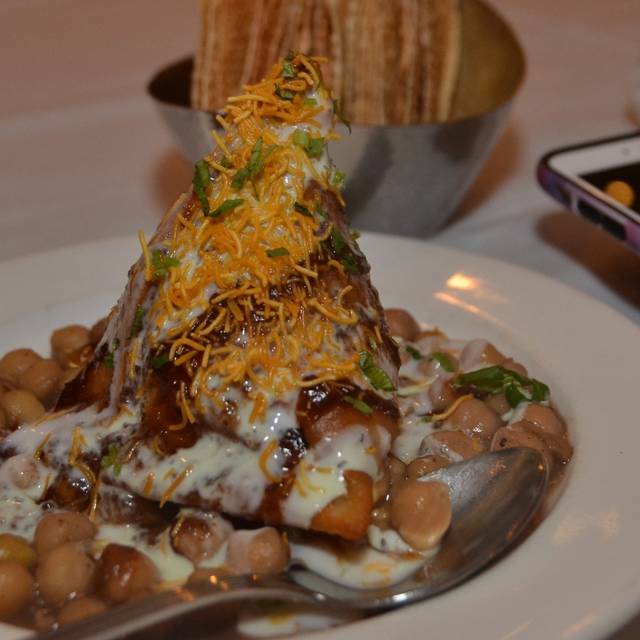 Passage to India is one of the most attractive restaurants in Montgomery County. It is also one of the quietest. It is rare to hear the conversation at a nearby table. I am always calm and relaxed when I leave the restaurant The food is consistently very good. When I want a light lunch, I choose two appetizers such as the scallops and the crab masala--two of the best dishes on the extensive menu. The list of wines by the glass is short, but well chosen and reasonably priced at $8.25 a glass. The service is attentive, but not intrusive. Why no five stars? I only give those to truly exceptional restaurants--of which there are none in Montgomery County and very few In DC. Upon walking into the restaurant, the aromas let you know what an excellent dining experience awaits you! Food was good but not amazing. Service was ok but waiters came by too often & were too eager to get us out. We felt rushed ! The meal came suspiciously quickly suggesting that everything was pre-cooked. Overall the food was delicious, but not quite as good as some of the other Indian restaurants we have tried. Black lentil Dahl was fantastic. A flickering overhead light was annoying. Presentation was nice and wait staff were friendly. Service was slow despite the restaurant being fairly empty and quiet. The food was interesting yet tastefully seasoned. The food and ambiance were very nice. It is very convenient to park close by, too. Truly enjoyed the various choices in food and quality, as well as attentive service. Excellent service and delicious food as usual! Our family has been going to Passage to India since it opened. 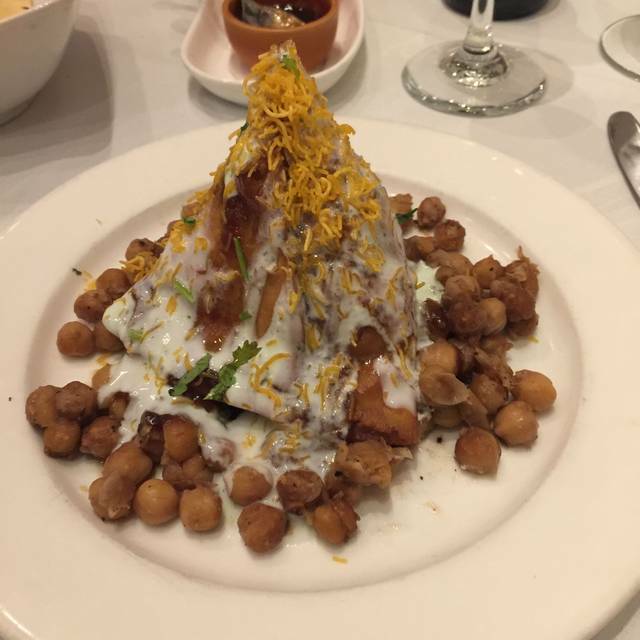 Hands down the best Indian restaurant in Bethesda. 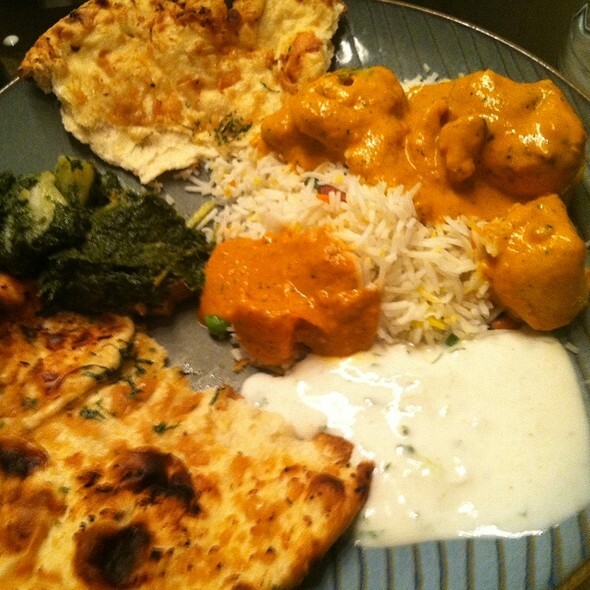 Best Indian Food in the BCC area. Been eating there for years, the food is always good as is the service. Easily the best Indian restaurant in Bethesda, MD. They go out of their way to make you feel special and the food is wonderful! Great food and service. The ambiance is quite special for a neighborhood restaurant. It's my go-to for Indian food. Delicious food. Ambiance is okay. Every dish was excellent. Service efficient and atmosphere conductive to lingering and talking. One of Bethesda's best. Everything was delicious and served beautifully and professionally, plus you could hear and speak with dinner companions without yelling. It’s our neighborhood jewel. 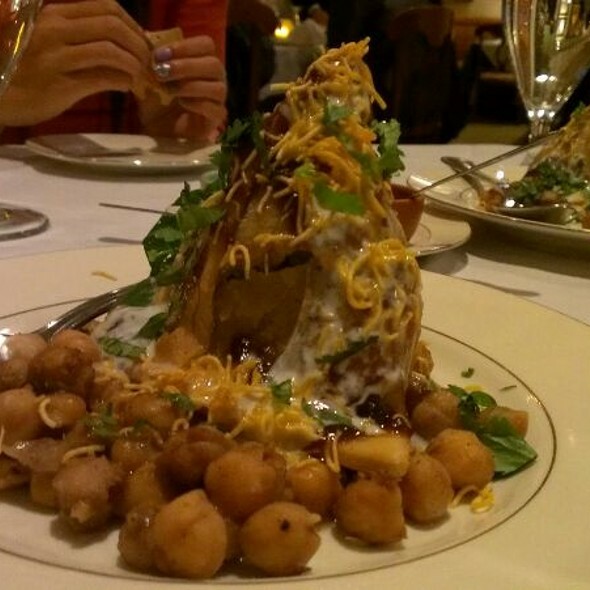 We love Indian cuisine and this restaurant is just perfect in every way. My wife and I went for brunch on a Sunday. For brunch they offer a prix fixe menu in addition to the full menu. At $15 the prix fixe was a bargain. It’s a very filling meal that doesn’t skimp on quality. We intend to return for dinner soon. It’s excellent Indian cuisine. Excellent vegetarian meal. Great service. I have not been to any restaurants in Montgomery County that I would award five stars in any category. My favorite area restaurants are those that offer flavorful food in a very attractive and quiet setting; attentive, but not intrusive service; and good value for the money. Passage to India is one of the few that consistently scores solid four stars in all categories. I recommend it highly. 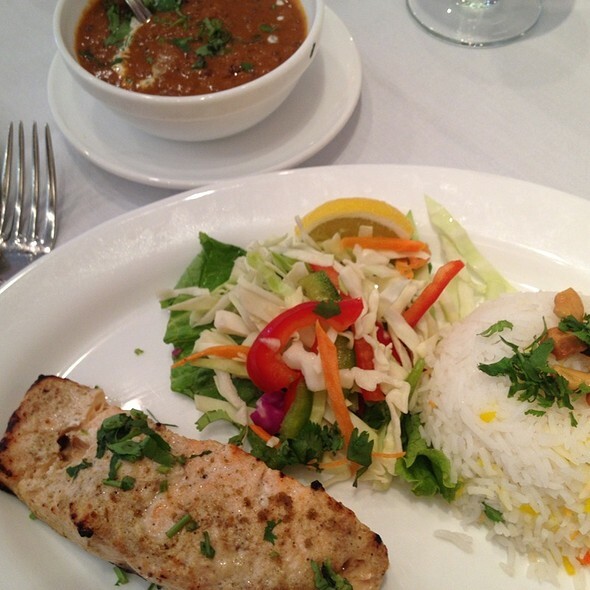 It is a joy to have a neighborhood restaurant which is really quiet, comfortable and has very well spiced Indian food. Lunch is beyond reasonable, and parking is easily available. There is no "settling" for convenience; it is good!